Professor Mieke Van Herreweghe (°1965) has been vice-rector of Ghent University since 1 October 2017. The rector, Rik Van de Walle, and vicerector head Ghent University. In 1987 she obtained a master’s degree in Germanic Philology at Ghent University and one year later a M.A. in Linguistics at University College Dublin (Ireland). After a PhD fellowship at the Research Foundation - Flanders, she obtained a PhD at Ghent University in 1996 as Doctor in linguistics and literature: Germanic languages. 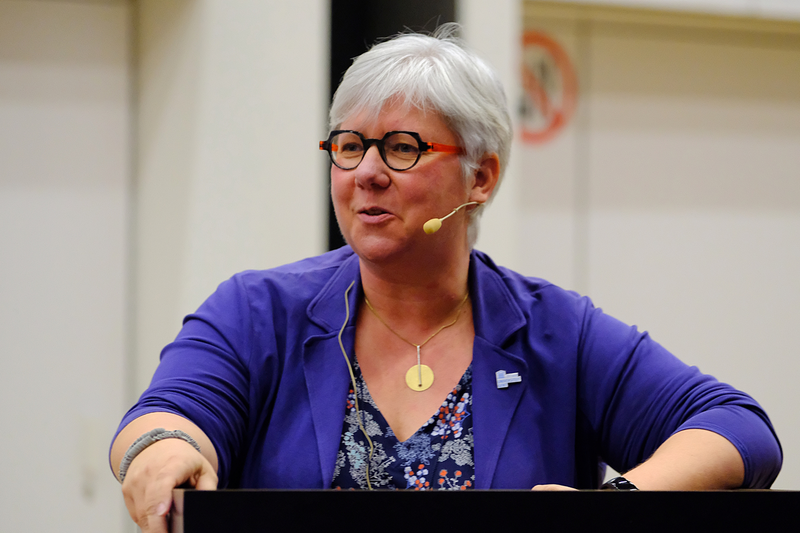 In 2012, Mieke Van Herreweghe became a full professor of English linguistics. Her research field encompasses English linguistics (on the one hand diachronic linguistics, on the other hand second language acquisition) and Flemish Sign Language. From 2012 to 2017 she was a member of the Ghent University Research Council. She was chairperson of the Linguistics and Literature study programme from 2012 to 2016 and research director of the Faculty of Arts and Philosophy from 2016 to 2017. She was also a laureate of the UGent Minerva award for education.